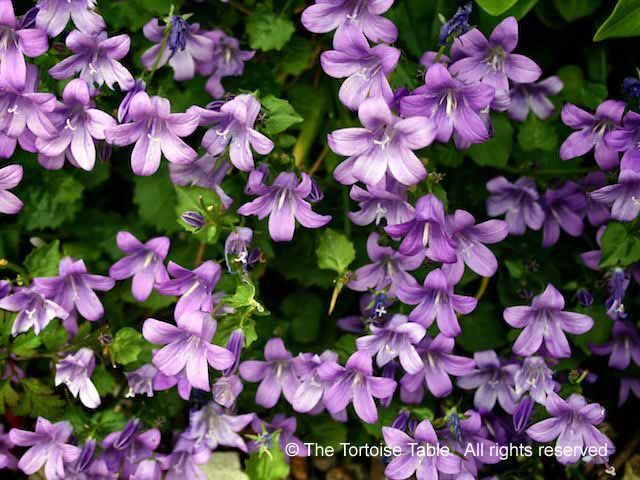 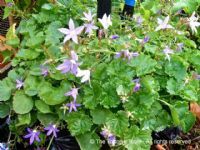 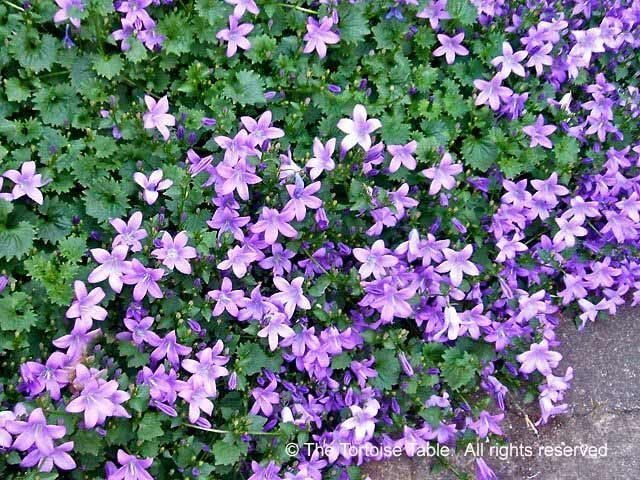 Campanula that is low growing or trailing can be planted in a pot in the tortoise enclosure and allowed to hang down to within the tortoise's reach. 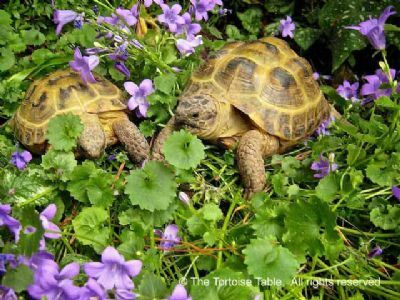 If planted directly in the ground it is best to protect it with an upturned wire hanging basket or something similar, so that the tortoise can only reach parts of the plant that grow through the wire protection, as otherwise he will demolish the whole plant in no time. 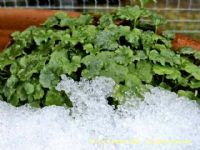 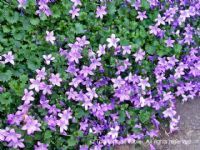 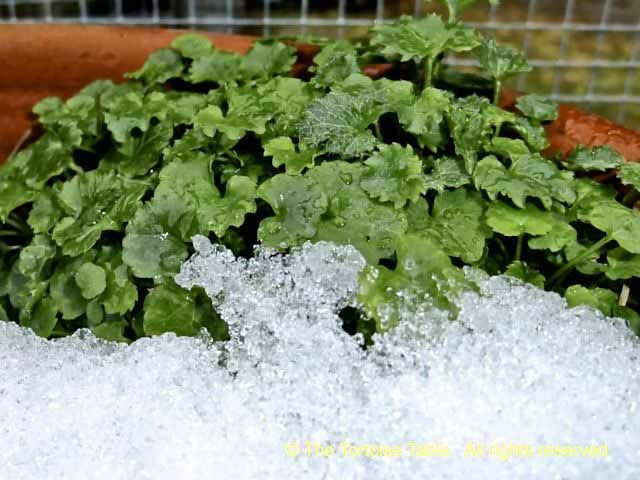 If given this protection, Campanula should return year after year, and as most of the low growing species are evergreen, they can provide a welcome treat during winter. 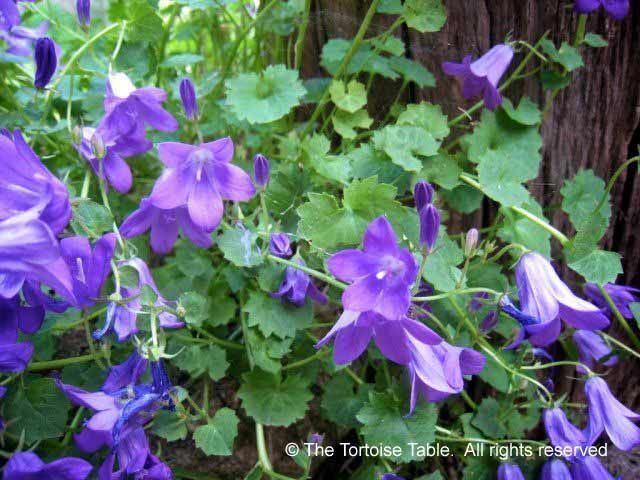 Flowers are mainly in shades of pale blue through to lilac or purple, but there are some varieties with white flowers. 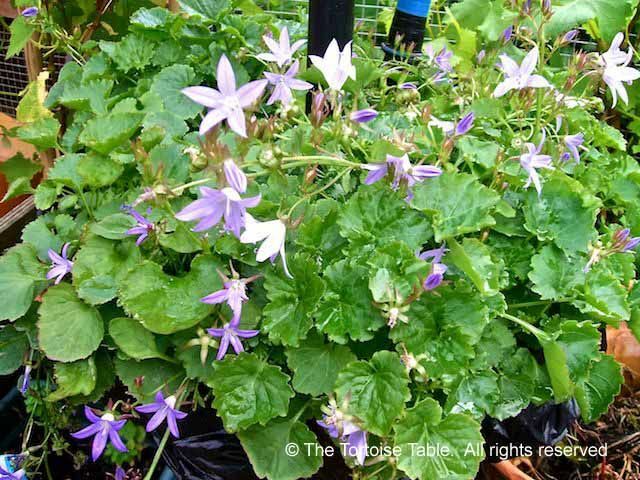 See also Campanula (Upright).